Dream in Green’s (DIG) environmental education programs are recognized for their excellence by two prestigious organizations, The National Association of Counties and the Coral Gables Chamber of Commerce. At its fifth annual Green Means Green Awards, The Coral Gables Chamber of Commerce honored DIG the “Green Pro” award for its work as a lead organization in helping schools reduce their environmental footprint and promoting sustainable behaviors including energy and water conservation, waste reduction and recycling. This is the second consecutive year Dream in Green receives an award from the Coral Gables Chamber of Commerce. The Green Means Green Awards recognize individuals, corporations, emerging professionals and others in the community that have placed a strong emphasis on sustainability and green practices. 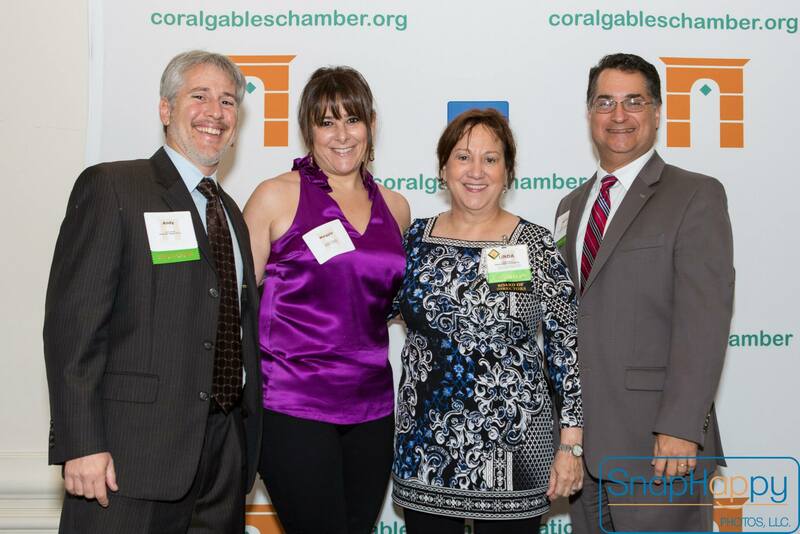 From left to right: Andy Jacobs , Kaufman, Rossin & Co.; Maggie Fernandez, Dream in Green WE-LAB Program Manager; Linda Knudson, present Chairman of the Board, Coral Gables Chamber of Commerce, Baptist Health; Carlos Hernandez, Chairman of the Green Committee, Baptist Health. The National Association of Counties (NACo) recently awarded the Miami-Dade Water and Sewer Department (WASD) its 2015 Achievement Award for the Water and Energy Learning and Behavior Program (WE-LAB) in the category of County Resiliency: Infrastructure, Energy and Sustainability. Since 1970, NACo, a national organization that represents and provides services to the nation’s 3,069 counties, annually holds its Achievement Awards to recognize innovative, effective county government programs in 21 categories that enhance services for residents. To date WE-LAB, a collaboration between Dream in Green and WASD, has reached over 1,350 households and resulted in savings of nearly 3 million gallons of water and 664,000 kWh of electricity, an emissions reduction of over $1 million Co2, and $102,000 in money saved. The Achievement Award will be presented to WASD at NACo’s 2015 Annual Conference and Exposition July 10-13 in Mecklenburg County, N.C.